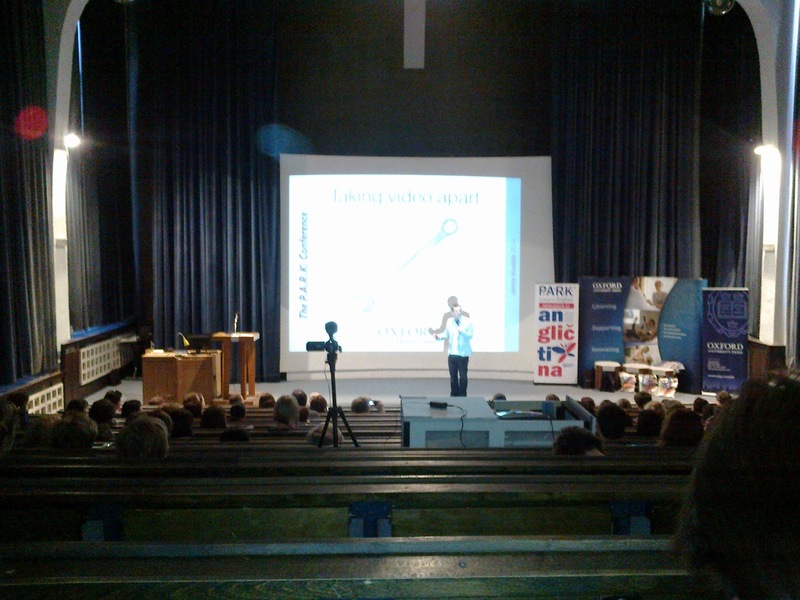 Don't be put off right from the beginning - this is ELT-related stuff. In effect this post alludes to a whole bunch of posts describing the experience of attending conferences floating all around the blogosphere these days. 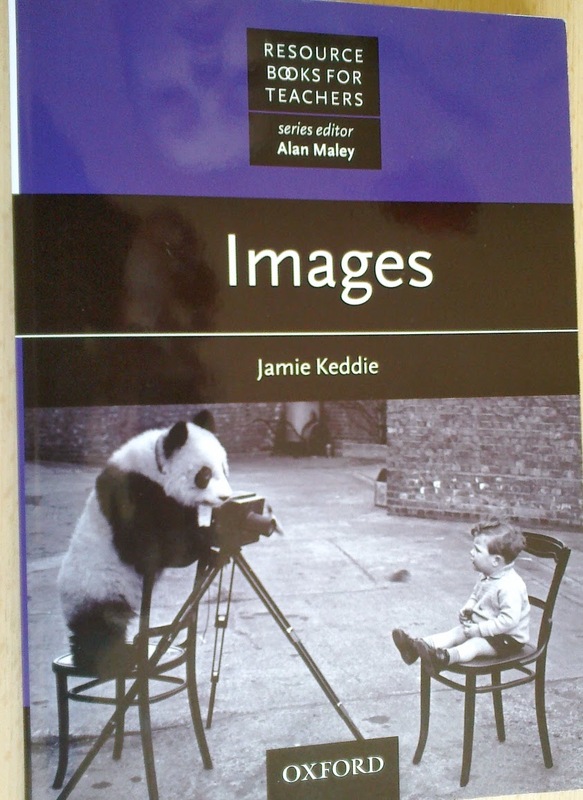 I first came across this subject a couple of days ago, and I think it was on Michael Griffin's blog, where you can find his own contribution, as well as a list of possibly related links. Unlike many of my friends, I've never been a keen pop concert goer. I've actually been to very few events of that sort; the only one I can recall now is a Jedro Tull concert in Prague, almost 20 years ago, where I actually turned up by mere chance (my boyfriend and his mob were going and they talked me into it as well). It was an unforgettable experience, but it didn't even cross my mind that I should go backstage after the concert and get the band's autographs. I think it was partly because I was too proud and shy. Unlike my peers, I never collected pop star souvenirs or the like (with one exception: there was a Pet Shop Boys poster on my bedroom wall). However, I'm convinced that by skipping this natural stage of a teenage girl's development, I must have created a gap in my life - a gap I'm now trying to fill in. Not that I've finally started going to pop concerts; instead I've started attending conferences. Although I've never experienced what it feels like to manage to get my favourite rock star's autograph or catch his sweat-drenched T-shirt thrown into the audience, I think I can clearly imagine the excitement the fan feels. I suppose that people go to conferences for similar reasons why they go to pop concerts; they want to hear their favourite presenters (pop stars), listen to their favourite topics (music) and be there with other like-minded people (the audience). The truth is that conference presenters are a bit like pop stars and like pop stars, some of them are bigger stars than others. The biggest stars often start conferences with plenary speeches and they also wind the events up. So you can imagine my elation after my name had been announced during the final raffle drawing the other day. 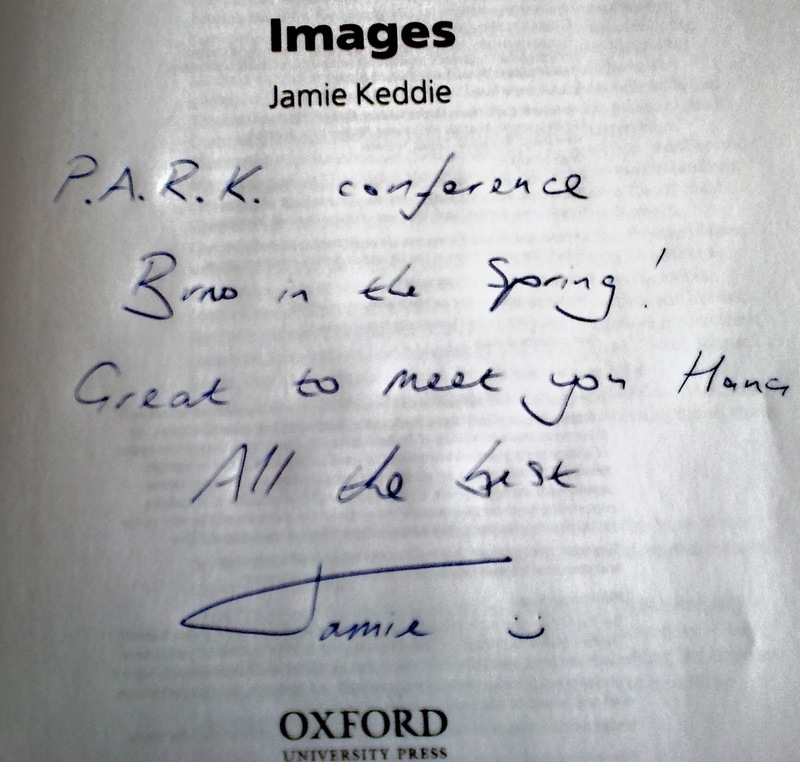 I won a special prize - a book with the inscription of Jamie Keddie, who had just closed the conference with his amazing plenary speech. At that moment I wanted to scream and faint like a Beatles fan. I would never describe myself as a crazy, eccentric daredevil. On the contrary, I'm a discreet, inconspicuous and unobtrusive person who avoids any kind of embarrassment. 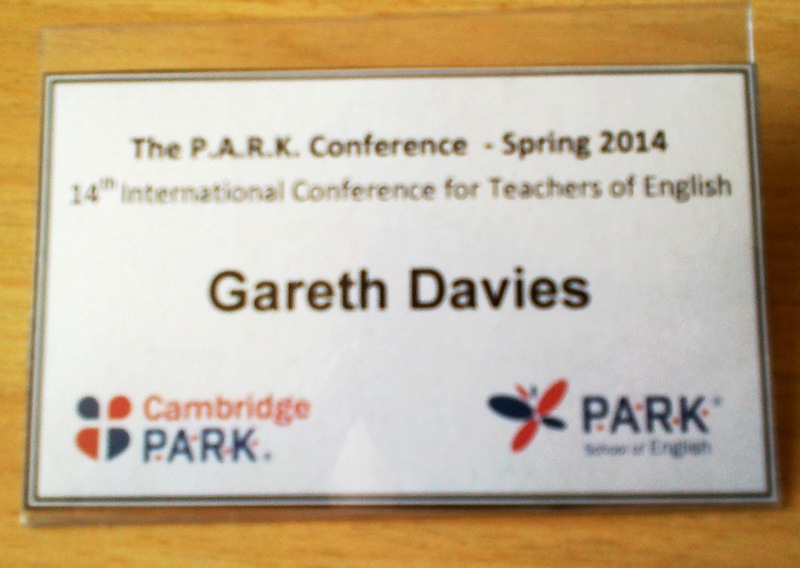 So it's hard to believe (even for me) that in addition to my luck with the raffle, I virtually 'stole' my favourite presenter's conference name badge (with his permission, I must confess) to keep it as a souvenir which I'm planning to display in the staffroom for all my colleagues to see. I can't wait to see their envious expressions - because they all know he's a real star in the ELT field. Here's the hard evidence if you think I'm inventing things. As I said, either I'm making up for the sobriety of my youth or I'm totally crazy. But this is the real power of conferences - apart from learning all the amazing knowledge, I can turn back time and relive my teenage years. But I can do so in disguise, with some dignity and without damaging my eardrums or discrediting my reputation (at least I hope so) because what I do is actually professional development, right? So there's nothing to be ashamed of, is there?